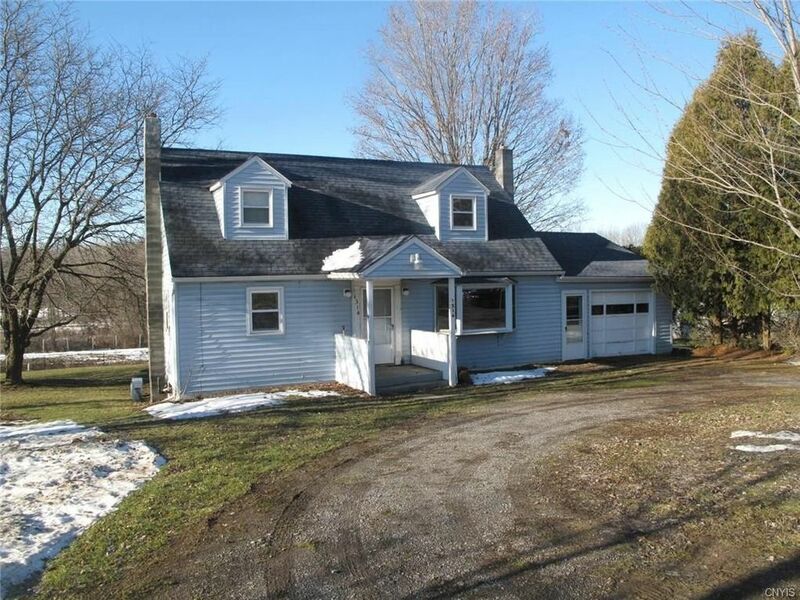 You will be impressed when you see this immaculate 4 bedroom Cape sitting on a beautiful spacious country lot. Recent improvements and upgrades include public water, refinished hardwoods, completely remodeled bath, updated electric, ceramic tile, new fixtures, replacement windows and a new roof. Sliders from the kitchen lead to a huge deck that overlooks picturesque CNY countryside. The walk out basement includes a full bath, workshop and plenty of room for storage or finishing. The central location is ideal; just 15-20 minutes from Baldwinsville, Syracuse, Auburn, and Skaneateles.